Pastry Panzer Panic! 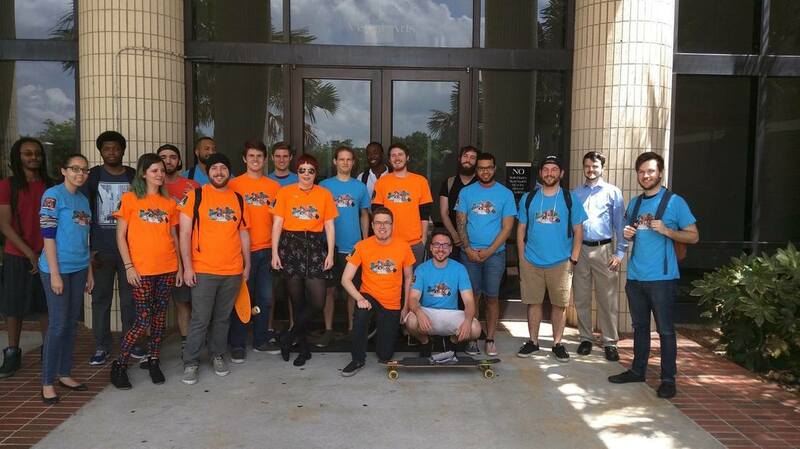 is a senior capstone game, created over the course of four months at the University of Central Florida. It is a food themed, objective based, tank game developed in Unreal Engine 4. 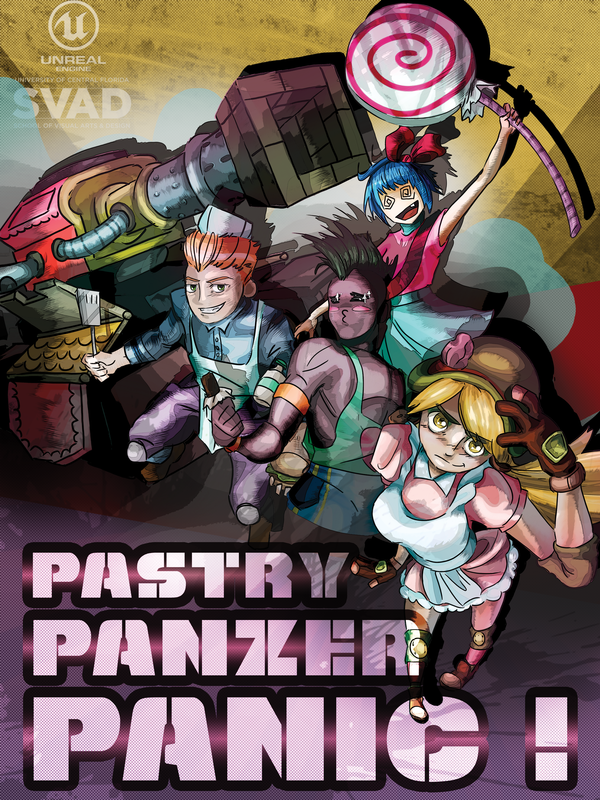 Pastry Panzer Panic! was created by a team of 20 students, of which I was the sole 2D artist. As Senior Artists, my primary obligation was to generate all the character and environmental concept art for the 3D modeling team to create. I also generated all of the art for the game's UI and menu systems and 2D animations for marketing. Among the 20 members of our team, I was the only 2D artist available. Normally I play a support role to the art department while I spearhead the game's audio design. I have always been a competent artist, but had never fully explored this part of my skill set in game development. Because of the skill load out this team brought to the game, I saw this as an opportunity to explore my traditional artistic abilities at a Senior level capacity. Creating enough art to keep the modelers busy, at an accelerated rate for a team this large was by no means an easy endeavor, but I felt I was up to the task. When the game wrapped, I walked away with a question answered about my artistic capabilities, "Do I have what it takes to be a concept artist?" I have a deep interest in video editing and post production tasks and as a result After Effects and Premiere have become a secondary artistic medium for me. Here are the in-game and marketing animations made for the game.